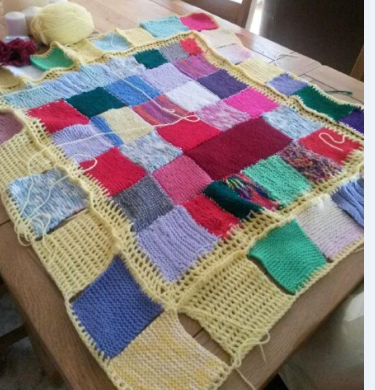 We are making great progress with our blankets of hope… The kids have been really busy and have 2 completed blankets with 4 more well underway. 6th class will be visiting Cork Girls Club on Friday 11th December 2015 to present the completed blankets to the charity. 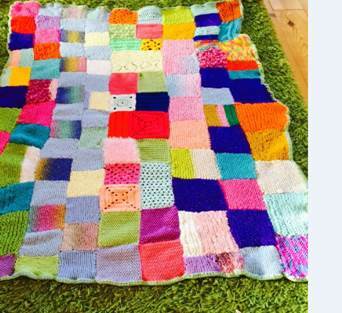 These blankets will be given to children who are undergoing chemotherapy. We are very proud of all of the children for their great efforts. 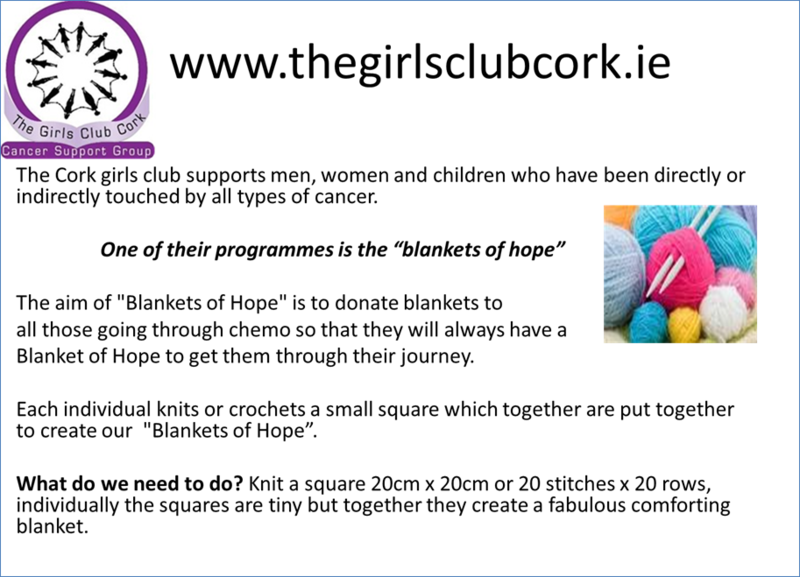 Please encourage your child to keep knitting for the next couple of weeks and send any completed squares into school. Beidh na cruinnithe ar siúl ar an 19/01/2016 agus ar an 21/01/2016. Seó na Nollag (Christmas Show) sa Séipéal ar an nDéardaoin an 17/12/2015 ag a 6pm. Ar shuíomh na Roinne tá ár scoil ar liosta le haghaidh foirgneamh nua i 2018! A leithéad d'aocht. Seo thoradh an obair chrua leanúnach atá á dhéanamh ag múinteoirí, tuismitheoirí agus boird bainistíochta na scoile! Our school is listed as due for major development in 2018 on the Department of Education Website! Ar Fheabhas!! This is a huge achievement and one that needs to be celebrated. My thanks to all those that worked tirelessly in establishing and developing this Gaelscoil ,to our teachers , parents , Boards of Management , P. A. etc. Maith sigh go léir! Beidh beirt ón Óglaigh na hÉireann ag teacht chugainn ar an 26/11/15 chun brat na hÉireann a bhronnadh ar an scoil. Beidh gach rang ag foghlaim faoi Éirí amach na Cásca. Beimíd ag roghnú beirt pháiste chun an forógra a léamh agus páiste amháin chun glacadh leis an mbrat. Two members of the defence forces will visit the Gaelscoil on Thursday 26/11/15 to deliver the national flag to us as part of the 1916 commemorations. Over the next week the pupils will be learning all about 1916. We will select two pupils to read the proclamation. We will also select one pupil to receive the flag. Táimíd ag tnúth go mór leis! Go n-éirí go geall leis na buachaillí amárach 19/11/15 ag a 12.00 i.n. i bPáirc Uí Rinn i gcoinne St. Patrick's Rochestown. €7 lucht tacaíochta R3-R6 le bhur dtola. €5 imreoirí le bhur dtola. Tá cead ag an lucht tacaíochta éide spóirt a chaitheamh. Bí cinnte go bhfuil cóta acu. Má tá sibh ag tógaint bhur bpáistí ón slua i ndiaidh an cluiche, caithfidh sibh dul chuig an múinteoir ranga ar dtús báire. If you're taking your child from the group after the match, please ensure you inform their class teacher beforehand. Comghairdeas lenár scríbhneoirí iontacha! D'éirigh go hiontach leo i gcomórtas scríbhneoireacht cruthaitheach a d'eagraigh an tsiopa Hamish Hawkin. Tháinig Bláithín de Lóndra sa chéad áit agus tháinig Aaron Mac Seanlaíoch, Clíona Ní Dhonnchú agus Caoimhe Ní hIfearnáin sa dara háit. Congratulations to our wonderful, creative writers. 3rd and 4th class entered a writing competition last year for Hamish Hawkin. Bláithín de Lóndra came in 1st place and Aaron Mac Seanlaoich, Clíona Ní Dhonnchú and Caoimhe Ní hIfearnáin were runners up. Adrian commended all the participants for their imaginative stories. 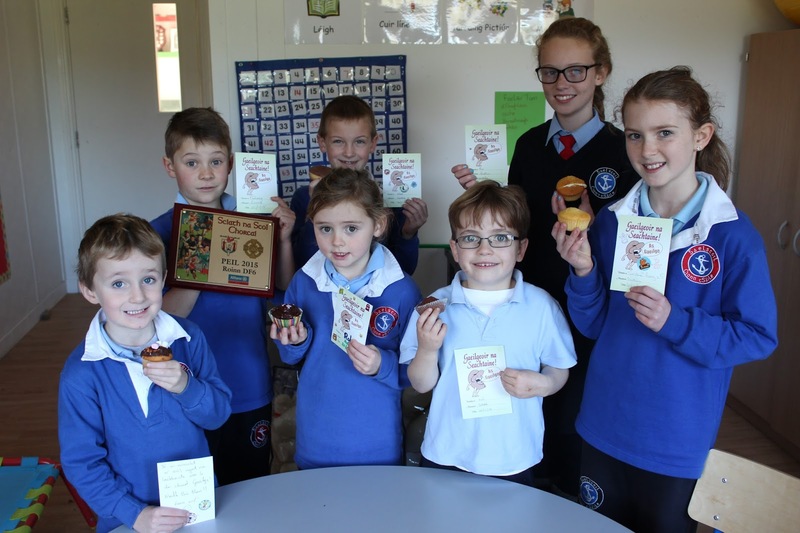 Tá na 'Folens Christmas Annuals' tar éis tagtha chuig na scoile! - le cheannach san oifig, €4 an ceann. The 'Folens Christmas Annuals' have arrived at the school! - for sale in the office, €4 each. Tá comórtas áitiúla eagraithe ag Alan. Tá na fóirne ainmnithe aige. An Mháirt 24/11/15, ag siúl go Sáile, fágaint ag a 9.15 r.n., siúl ar ais ag a 2.00 i.n. €7 an duine. He has named the teams from 5th and 6th class. It is taking place Tuesday 24/11/15 in Sáile, walking there, leaving school 9.15 am, leaving Sáile at 2pm approx. There is a cost of €7 per player required, payable online or to class teacher beforehand. Sunday, 22nd November 2015 at 10:00 a.m, for Dunderrow and the Gaelscoil. This weekend is the Feast of Christ the King, the end of the Church year. I will explain to the children that the Church year (Advent – Ordinary Time – Lent – Ordinary Time – Feast of Christ the King) is different to the calendar, or even the school year. It’s a time to think about endings and beginnings. I will also talk about the different ways that we refer to Jesus. Very soon, the children will be singing about ‘baby Jesus’, but this month, we refer to Jesus as ‘King’. When we refer to Him as King, we mean that he is a leader who stands for forgiveness, fairness, and truthfulness. I will draw the children’s attention to the Paschal candle. I will explain that it symbolises the Light of Christ, and has two special purposes. It is lit at the beginning of our life in the Church, at our Baptism. And it is lit at the end of our life, at our Funeral Mass. The hope and light that the Paschal candle symbolises, reminds us that God is with us to lead us in all our endings and our beginnings. I would like all the children to do the colouring on pages 42 and 43 of the THUMB book before coming to Mass. Page 43 uses the image of a leaf that has fallen in Autumn to remember a loved one who has died. I would like the children to bring a few beautiful leaves that have fallen to Mass. They can place the leaves in the baskets held by the Parent Leaders at the entrance to the Church. We have a ‘Faith Friends’ scheme in the Parish whereby older members of the Church include a particular child and their family in their prayers, throughout the Communion year. I invite families that would like to participate to get their child to write their first name on a card and place it in the designated basket at the entrance to the Church. There is no obligation to participate and the card with the first name is the only contact between the family and the older member of the Church. And finally, for anyone who didn’t get their Rosary Beads blessed last month, you can bring them along again this month. 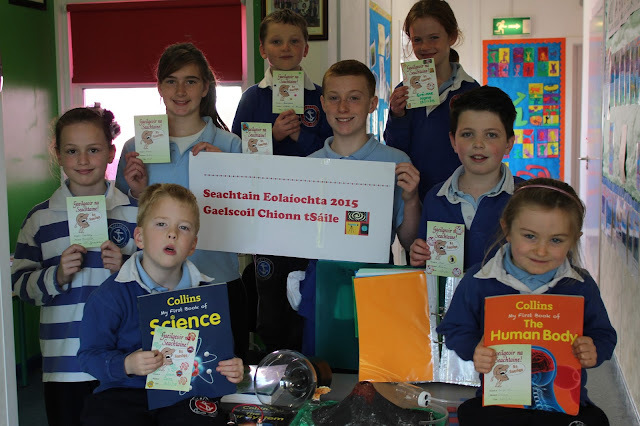 Bhuail Coiste Scoileanna Sláinte na scoile le chéile dpn gcéad uair an tseachtain seo chaite (11.11.2015). An adhm atá againn ná sláinte meabhair cinn ár bpáistí agus pobal na scoile a fheabhsú. An teachtaireacht atá againn don tseachtain seo ná go mbraitheann tú níos fearr nuair a itheann tú bia sláintiúil. Plé é seo sa bhaile le bhur dtola. 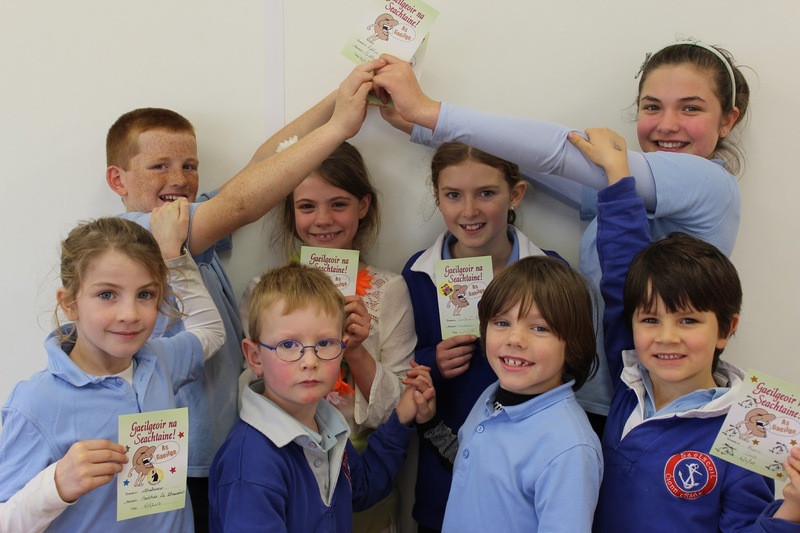 The school's Health Promoting committee got together for the first time last week. Our main aim for this year is to highlight the importance of positive mental health and to help improve the mental health of our pupils and wider school community. Our message for this week is that you feel better when you eat healthy food. Please discuss this at home. Blitz iománaíochta Rang a 5 faoi dhión ar an 16/11/15 i halla Sáile. Beidh 8 buachaillí ag teach chuig in blitz. Ag tosnú ag a 11. Beimid ag siúl ann ón scoil. Níl ach cead againn ochtar a thógaint linn agus tá costas €2 páiste atá ag dul. Indoor hurling blitz (buachaillí) Rang a 5 on the 16/11/15 in Sáíle Sports hall. 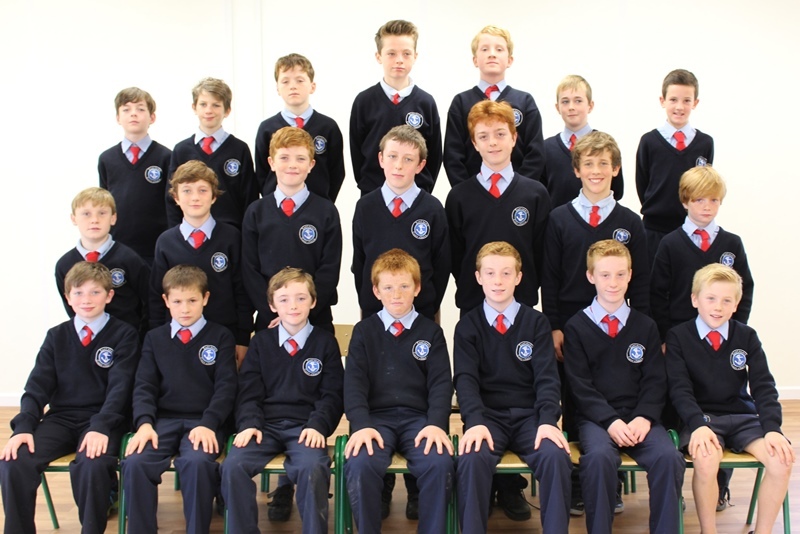 8 boys from 5th class will be going to the blitz. Walking there from the school. Blitz starts at 11. We are only allowed to take a panel of eight with us and there is a cost of €2 per child who is coming. Leabhair deasa Bookpeople ar scoil faoi láithir - go dtí 24ú Samhain '15 taobh amuigh den oifig, má tá fonn oraibh iad a fheiscint. The Bookpeople have some nice books for sale. They are displayed outside the office until 24th November '15, if you would like to have a look. Beidh ranganna a 3- 6 buachaillí agus cailíní ag dul chuig an chluiche ceannais ar an nDéardaoin, 19/11/15, chun tacaíocht a thabhairt. Foireann: Bus ag fágaint ag a 10.30. Ar ais ar scoil ag a 1.45. Beidh ar gach imreoir €5.00 a íoc chun praghas an bhus a chlúdú. Tá bhur gcead isteach saor in aisce. Lucht Tacaíochta (páistí) : Bus ag fágaint ag a 11.00. Ar ais ar scoil ag a 1.45. Beidh costas €7.00 an pháiste á bháiliú ag gach múinteoir chun cead isteach agus praghas an bhus a chlúdú agus cead isteach a chlúdú. Tá cead agaibh éide spóirt na scoile a chaitheamh ar an lá agus bratacha srl. beaga a thabhairt libh. Lucht Tacaíochta (tuismitheoirí): Beidh siad ag lorg €5.00 an duine cead isteach ag an ngeata. Beidh praghas €1.00 ar an gclár. Má tá sibh ag tógaint bhur bpáistí i ndiaidh an chluiche, le bhur dtola teir chuig an múinteoir atá i bhfeighil ar an rang sin. 3rd-6th class boys and girls will be supporting the boys' football team Thursday 19/11/14 in Páirc Uí Rinn at 12.00. Team: Leaving the school at 10.30am. Returning to school at 1.45pm. You will need to contribute €5 towards the price of the bus. Players' entry to match is free. Supporters (students 3rd-6th class): Leaving school at 11.00 am on a bus. Returning to school at 1.45pm. Each student must pay €7 to cover the price of entry and bus. Please pay online or send in payment to the class teacher. Students can wear their sports clothes and are allowed to bring small flags etc. to show their support. Supporters (Parents): Entry is €5 for adults and €2 for any extra child you may be bringing along yourselves, to be paid at the gate of Páirc Uí Rinn. Programmes are €1 each. Sciath na Scol office have asked us to inform parents not to abandon cars nor to park illegally as they will be towed or ticketed. Má tá suim agat páirt a ghlacadh i bhFeis Maitiú 2016( If you are interested in partaking in ..) seol an íocaíocht isteach ( send in fee before) chuigh Michelle roimh an Máirt seo chughainn an 17/11/2015. Beimíd ag cur isteacht ar na dánta Gaeilge amháin ón scoil. ( Entering the Irish language Poetry section only). Costas €18 Euro do pháistí atá faoi a 10 mbliana( under 10), costas €22 do pháistí thar an aois san ( over 10). * 10 % lacáiste (reduction) do clainne le triúr páiste nó níos mó( families with 3 enteries). Blitz camógaíochta cailíní Rang a 5 faoi dhíon ar an 18/11/15 i halla Sáile/ Beidh 8 cailíní ag teacht chuig an blitz. 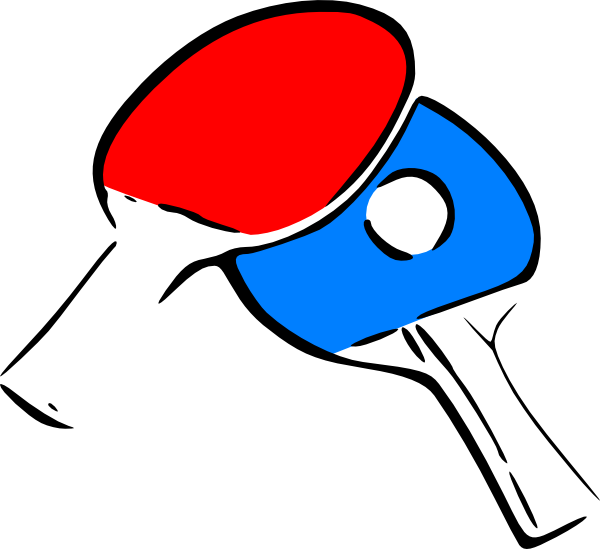 Beimid ag siúl ann ón scoil. Indoor camogie blitz for the girls of Rang a 5 on the 18/11/14 in Sáile Sports hall. 8 girls from 5th class will be going to he blitz. Walking there from the school. Blitz starts at 11. Gach bliain téann rang a 4 chuig Blackrock Castle Observatory. 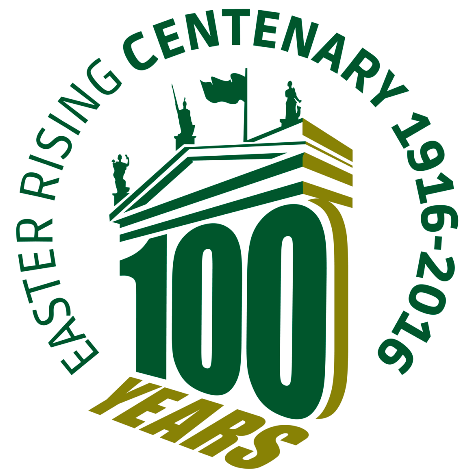 Tá turas eagraithe againn, an dáta a bhí ar fáil le haghaidh ceardlann roicéid ná Aoine 20/11/15. Bus ag fágaint ag a 09.40 r.n. Bus ar ais ar scoil ag a 2.20 i.n. Praghas- €12 an páiste (dul i gcoinne praghas isteach + bus.) Is féidir libh é a íoc ar líne nó é a thabhairt go Múinteoir Róisín. Beidh nóta i mála scoile do pháiste amárach 11/11/2015 maidir le clár nua a bheidh á thosnú againn le rang do pháiste an tseachtain seo chughainn. 'Friends For Life' Anti - Anxiety Programme atá i gceist. ( Your child will receive a note tomorrow outlining a fantastic programme that is commencing next week in your child's class.) Léigh go cúramach é agus sínigh chun cead a thabhairt dod phaiste a bheith páirteach sna ranganna. ( Please read carefully and sign permission slot). 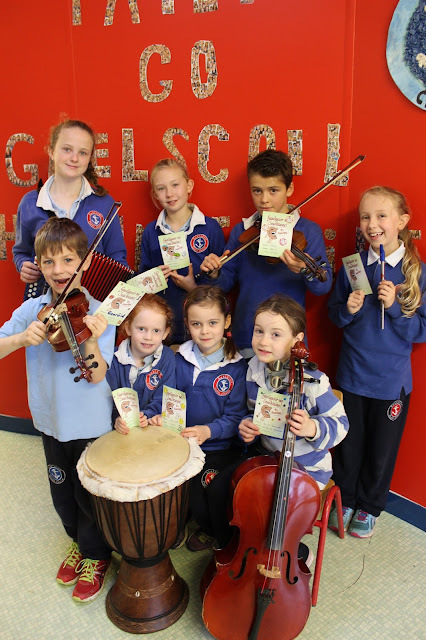 Fáilte roimh páistí ranga a 2 aníos ( 2nd class up) a úrlisí ceoil a thabhairt isteach leo chun tús a chur le banna ceoil na bliana seo an an nDéardaoin bheag seo an 12/11/2015( Bring in your musical instruments on Thursday). Páistí atá in ann úrlisí a sheinm amháin le bhur dtola. ( This will be band practice not musical tuition therefore all children attending must be able to play their instrument). Beidh na ranganna Gaeilge ag dul ar aghaidh! Ag tosnú anocht (9/11/2015) ag a 7.30 go dtí 8.30p.m. agus ag leanuint ar aghaidh ar feadh 6 seachtain. Fáilte roimh gach duine. Irish classes for the parents will be going ahead. They will begin tonight (9/11/2015) at 7.30pm to 8.30pm and will continue for 6 weeks. All are welcome. Tá fáilte roimh Rang a 6 go hEli Lilly ar an 14/11/15 óna 9r.n. go 11 r.n. Ní bheidh múinteoir i láthair, mar sin bheadh sé go maith dá bhféadfadh tuismitheoir amháin an cuairt a dhéanamh leis na bpaistí. Inis do Hilda más féidir leat an feitheoireacht a dhéanamh. Rang a 6 have been invited to attend a tour of Eli Lilly on Saturday 14/11/15 from 9-11am, as part of the celebrations of Science Week 2015. As there will not be a teacher present, it is important that at least one parent agrees to be present during the tour with the pupils. Please inform Hilda if you are willing to be present during the duration of the tour. Ár mbuíochas le hEli Lilly. We will be taking the photos for the school calendar tomorrow morning, Tues. 10th November 2015. Please can you make sure that your child comes to school in full uniform, neat and tidy. Children can bring in festive items for the photo - santa hats for December, halloween hats for October etc. For the small children, up to and including 1st class it is very important that their date of birth is written clearly on their hand. We will be taking the photos for the school calendar next Tuesday morning 10th November 2015. Please can you make sure that your child comes to school in full uniform, neat and tidy. Children can bring in festive items for the photo - santa hats for December, halloween hats for October etc. Tá cuireadh faighte ag páistí ranganna 5+6 chun drámaíocht a dhéanamh sa phobalscoil. Táthar ag cur an Ghaeilge chun cinn sa phobalscoil don lá ar fad ar an 12/11/15. Beidh na páistí ag glacadh páirt i rólimirt agus mím srl. Beidh R5R6 ag siúl ann, fágaint ag a 11.10 r.n., ar ais ag a 1.30 i.n. 5th and 6th class have been invited to participate in a drama workshop being run by Kinsale community school on the 12/11/15 at 11.40 am. We will walk to and from the school. It is being done through Irish to promote the use of Irish in the community school. We will be taking the photos for the school calendar next Tuesday morning 10th November 2015. Please can you make sure that your child comes to school in full uniform, neat and tidy. Children can bring in festive items for the photo - Santa hats for December, Halloween hats for October etc. De bharr easpa uimhreacha, ní bheidh aon rang gaeilge ag dul ar aghaidh inniu (02/11/2015). Fágfaimid é ar feadh seachtain amháin eile ar eagla go mbeadh suim ag éinne iontu. Má tá suim agat, fág d'ainm le Hilda asap le do thoil. Beidh siad ar siúl gach Luain ar feadh 6 seachtain, 7.30-8.30pm. 50euro do na rangann ar fad. Tosnóidh siad an Luain seo chughainn (09/11/2015) le cúnamh Dé. Due to a lack of numbers, tonight's (02/11/2015) Irish class for the parents has been rescheduled for next Monday (09/11/2015). If anyone is interested, leave your name with Hilda asap. Classes will be held on Mondays, for 6 weeks, between 7.30pm and 8.30pm, costing a total of 50euro. These classes are suitable for parents who already have a few words but would like to get some practise / a better understanding of the language for their own benefit and/or the benefit of their children. Seo thíos ceistneoir daoibh maidir le litearacht sa bhéarla sa Ghaelscoil. Cabhróidh sé linn plean feabhsúcháin scoile a chur le chéile. Beidh sé ar fáil go dtí an 05/11/15. Please click on the link below to complete a questionnaire that we have created. We would like your feedback in relation to English literacy here in the Gaelscoil. The information gathered will inform us when drawing up our school improvement plan for literacy. The questionnaire will be available online until 2.30 pm 05/11/15.